The new library will continue to serve as a cultural landmark for the local community. 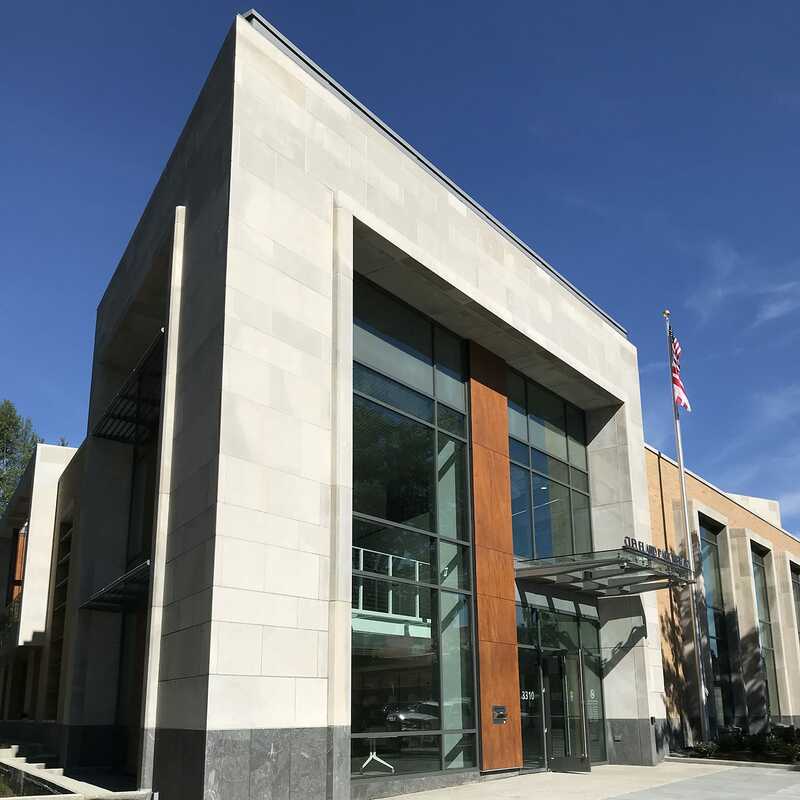 The District of Columbia Public Library was interested in bringing on a design-build contractor to construct a new library that would blend into the fabric of the surrounding community and meet the programmatic demands of the busiest local branch library in the District. 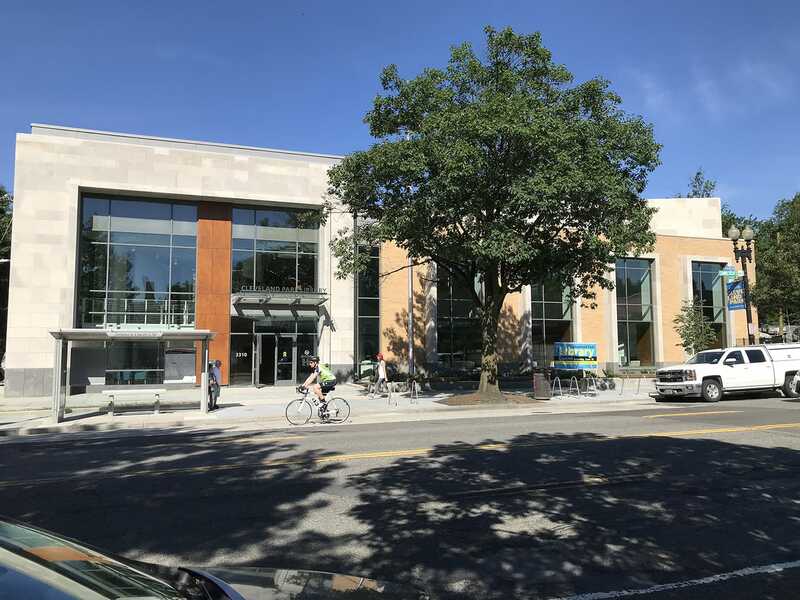 Gilbane Building Company worked with Perkins Eastman DC and the Library to design and build a replacement for the existing Cleveland Park Library, located on Macomb and Connecticut Avenues in Washington, D.C. The library provides a positive and unique experience inside, with plenty of light from double volume windows and quiet nooks for reading. The building’s façade pulls from the vibrant urban culture of its surrounding community; blending seamlessly into the neighborhood. Using best practices in design-build construction, the team focused on creating a structured partnering process that allowed for valuable input from Gilbane, Perkins Eastman DC and the Library throughout all phases of construction. After numerous meetings with the client and input from many local sources, the design-build team developed a plan that encompassed everyone’s ideas, while putting the needs of the community at the forefront. Gilbane and Perkins Eastman DC resolved challenges quickly and efficiently through shared ownership of the design and weekly onsite meetings. We worked directly with each other to find solutions that met the design intent, while eliminating impacts to the schedule and budget. One example was the installation of a VRF mechanical system. Early on in the planning process, the team chose the VRF system to meet the budget and maintain programming space within the library. The size of the VRF decreased the square footage needed for mechanical rooms and increased ceiling heights. In addition to freeing up more space for programming, it also reduced noise pollution in the library. Bordered by a neighborhood community, WMATA bus stop, metro line and local businesses; the tight site presented some challenges. It required complex sequencing with sheeting and shoring, steel installation and large deliveries to ensure proper phasing. Once the structure was erected, the façade components required careful sequencing and planning. The team coordinated material deliveries with the trades working on each elevation to ensure materials didn’t require onsite storage. Overall the project achieved local workforce and inclusion goals with 38% Certified Business Enterprises (CBE) and 36% D.C. resident participation on the project. 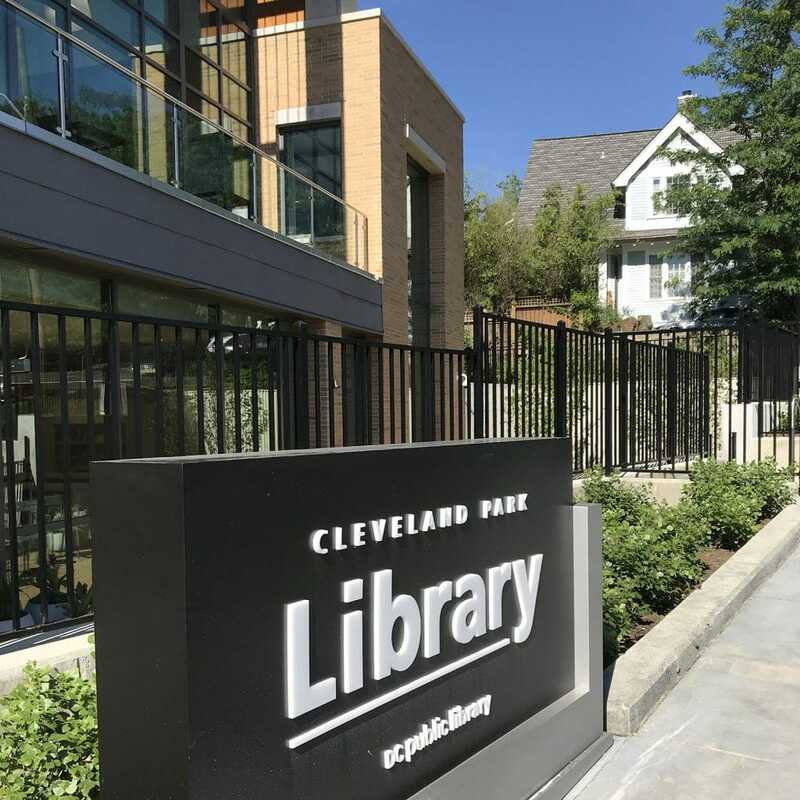 Gilbane celebrated the official opening of the new Cleveland Park Library on June 16, 2018. As part of the Library’s mentor-protégé program, Gilbane and Perkins Eastman DC partnered with Saxon Collaborative. The program helps growing local, small, disadvantaged business enterprise firms build capacity and improve their ability to successfully compete for other contracts in the District.